Portable storage containers have revolutionized the way that we move and store, breaking down barriers posed by traditional storage unit rentals and providing heightened flexibility and convenience for homeowners, renters and contractors alike. iCan Storage is here to take those improvements to new heights with our unmatched levels of security, solid construction and service for all your moving and self storage needs. With iCan, you can have a better moving and storage experience. Whether you are looking for long-term storage, short term storage and relocation, or temporary storage of equipment and tools for your business, iCan provides flexibility in your mobile storage options. You tell us when and where you need your portable storage unit, we deliver, you pack, and we pick it up. Or, you can keep your portable storage container right on your premises, so you can access your belongings anytime. It’s that easy. Then, we’ll deliver your portable storage container to your next destination or to our secure storage facility for safe and convenient storage until you figure out the next step. With other portable storage container companies, you need ample space – sometimes 30 to 50 feet on either side – for their trucks to access and pick up your storage container. iCan uses a patented Horizontal Lift System that will gently lift and lower your portable storage container, without tilting or swaying, then move it into tight spaces using our iBot Small Spaces System. 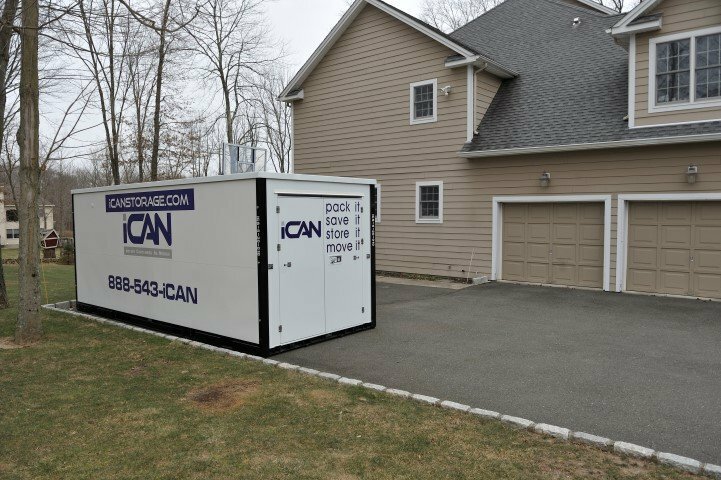 No need to bother the neighbors and clear the street – our systems make moving your storage container unit a breeze. We’re based in Rockland County, NY but serve the entire surrounding area. We’re in Bergen County, NJ just about every day, placing iCans into driveways in Teaneck and Carlstadt, Woodcliff Lake and Ramsey; and our delivery trucks are cruising down I287 in Morris County nearly every day as well. You can see iCans in Boonton, Dover, Kinnelon and Butler, and we cross the bridges as well, going to the Bronx and Westchester. Locations even as far east as Rye fall into our local service area, which means delivery charges don’t go above the base delivery fee; and that applies to eastern Orange County (like Highland Falls and Fort Montgomery) as well. Wherever you need us, iCan is there. Our portable storage containers feature solid construction of powder-coated steel, offering protection for your stored items from the elements and from intruders. Translucent plastic roofs may sound like a good idea – until your furniture suffers sun damage. With iCan Storage, your items will be safe, sound, and easy to access. Our containers feature solid steel locking doors on either side – because you just know that the first thing you packed way back will be the first thing you need. Sounds pretty good so far, right? There’s more! 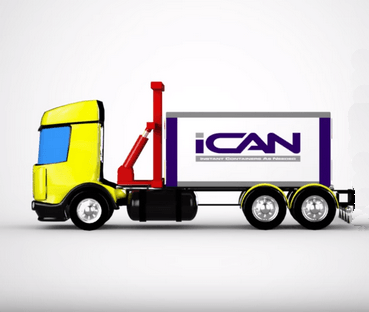 Check out the Moving and Storage pages to see how iCan’s innovative portable storage units can vastly improve your self storage and moving experience.